A Welsh National Service of Remembrance will be held later today in Langemark, Belgium, in honour of the 3,000 Welsh soldiers who died or were injured at the Battle of Passchendaele one hundred years ago. 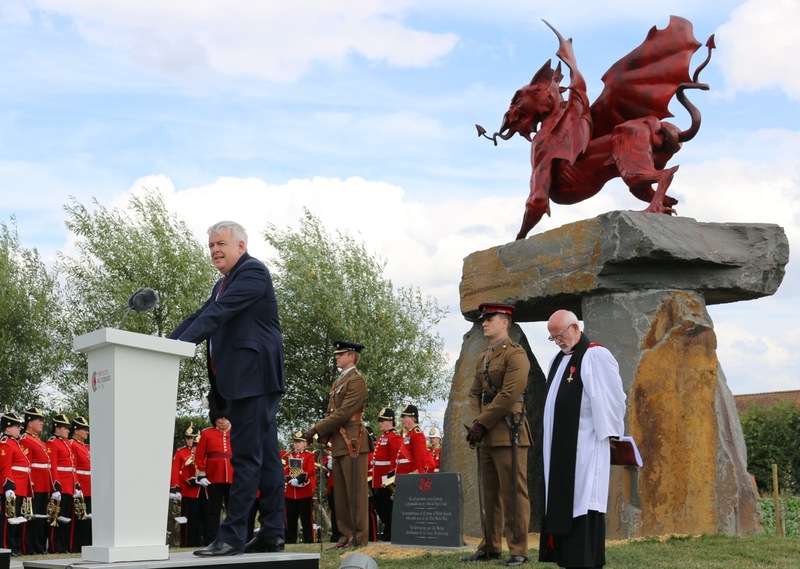 First Minister of Wales, Carwyn Jones, will open the service alongside the Mayor of Langemark-Poelkapelle, Alain Wyffels, and Minister-President of Flanders, Geert Bourgeois. During his address, the First Minister will pay tribute to all those who took part in the Battle and read a passage from the Bible (Micah 4: 1-5) in Welsh. The Third Battle of Ypres (Passchendaele) was one of the most horrific battles of the First World War, remembered as a remorseless slog through the mud and rain. The 38th (Welsh) Division played a central role in the battle, capturing key positions on the ridge at Pilkem. The battle is of particular resonance for Wales as it claimed the lives of many Welsh soldiers including the renowned Welsh language poet, who was posthumously awarded the bardic chair at the National Eisteddfod in Birkenhead in 1917. After the National Service, the First Minister will lay a wreath on Hedd Wyn’s grave at the Artillery Wood cemetery on behalf of the people of Wales. “It is a great privilege to be back in Langemark for this important occasion. 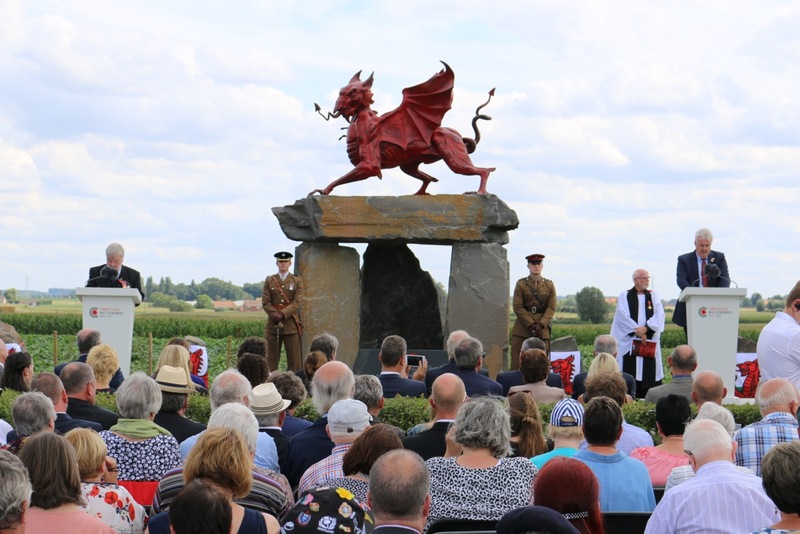 It has been 3 years since the memorial was unveiled and it offers us a fitting place to pay tribute and reflect on the sacrifices of all those who took part in the Third Battle of Ypres 100 years ago. “In this peaceful spot today, it is hard to imagine the horrors of war faced by our soldiers and the agonising wait of families back home who might not know the fate of loved ones for many months. Today’s service, which will be attended by the Prince of Wales, forms part of the events for 2017 in Cymru’n Cofio Wales Remembers 1914-1918 – the official programme for First World War centenary commemorations in Wales. Earlier in the day, the First Minister will also represent Wales at the UK Government Service of Remembrance at Tyne Cot Cemetery.